The FAO, African Development Bank and ECOWAS have just released Agricultural Growth in West Africa: Market and Policy Drivers, a book by Frank Hollinger of the FAO and John Staatz of Michigan State University. This study highlights the importance of improving the quality of agricultural risk management as a main component of an enhanced policy environment in West Africa. It also argues for a strong role of the CAADP process in developing a good policy environment. The PARM is fully aligned with these objectives and policy processes in West Africa and is already working in Niger and Senegal, and will soon start activities in Cabo Verde and Liberia. West African Agriculture is at a turning point. The combination of strong demand growth, sustained economic growth, higher global agricultural prices, and an improved policy environment has generated the most conducive conditions for Agricultural growth in over 30 years. 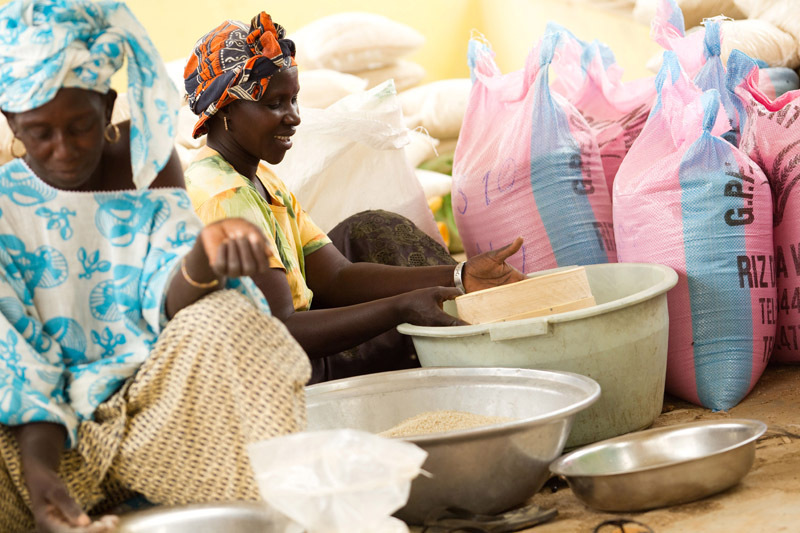 West African countries and their Development Partners now clearly recognize the sector’s vital importance for broad-based growth, food security, improved nutrition and poverty reduction. At the same time, a combination of old and new challenges ranging from climate change to increased price volatility threaten the ability of West Africans to seize these opportunities. While important progress towards regional integration has been made over the past two decades, effective implementation at national level has remained a challenge, as evidenced by roadblocks and trade bans hindering intra regional trade, along with continued use of disparate national standards for seeds and fertilizers despite regionally agreed-upon common protocols. In view of the challenges and opportunities facing West African Agriculture, the African Development Bank (AfDB), with support from the Government of France, partnered with the Food and Agriculture Organization of the United Nations (FAO) and the Economic Community of West African States (ECOWAS) to conduct a joint analytical study entitled Agricultural Growth in West Africa (AGWA): Market and Policy Drivers. The report, “Agricultural Growth in West Africa: Market and Policy Drivers” (AGWA), comes at a time of great dynamism in the patterns of food demand in Africa. West Africa’s population, now 300 million, is expected to grow to 490 million by 2030. The subregion is already the most urbanized part of Sub-Saharan Africa, with nearly half the population living in urban centres, and the urban population is projected to continue to grow at a rate of 3.8 percent per year between 2015 and 2030. A growing proportion of the West African population is made up of net food buyers who spend large shares of their incomes on food. The only way to ensure these consumers’ access to low-priced food while simultaneously enhancing producers’ incomes is through raising productivity and efficiency throughout the agrifood system. Achieving these gains in efficiency and productivity requires a more stable and predictable policy environment, refocussing of public investments on the critical building blocks for sustainable long-term growth, and stepping up implementation capacity. Based on a detailed analysis of the drivers and trends shaping the development of West Africa’s agrifood system and the system’s response so far, the study identifies key implications for policies and agricultural investments. These findings will help inform the deliberations on and new orientations of “ECOWAP-10”, ECOWAS’ forthcoming update to the current West African agriculture policy, ECOWAP/CAADP.